I am not sure what vehicle these are for. The model number is on them. There is a name in script but I can’t make it out. 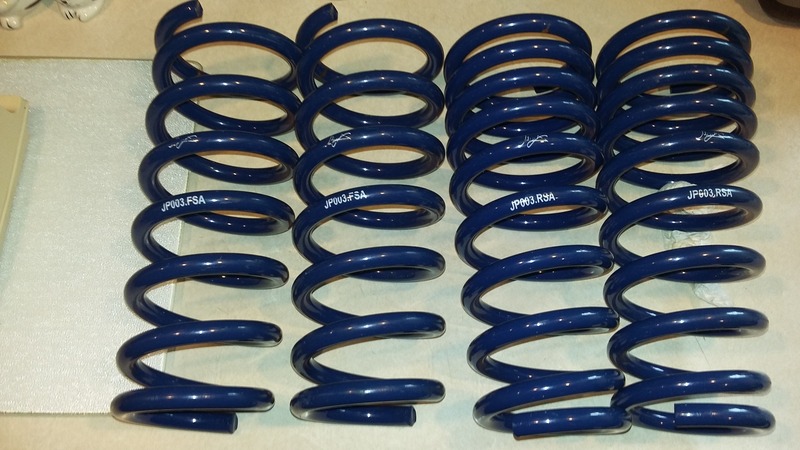 They appear to be front and rear springs. Possibly XK8, XF older than 2010. Please let me know if you know what vehicle they are for. I’d like to see them go to someone that can use them. I got them in a package deal inside an XJ-S that I bought. I think they were purchased but were for the wrong model Jaguar. I have searched the web extensively and can’t find anything other than one photo of the same springs (used). These are brand new, never mounted. I will sell them for a substantial discount. Suspension Spring Specialist, Inc. could they be by this company? could be. I am going to investigate. Thank you.